5.1 Earthquake hits the Macquarie Islands. Hurricane Matthew is located about 130 mi…215 km NNW of Curacao and about 535 mi…860 km ESE of Kingston Jamaica with maximum sustained winds…100 mph…155 km/h. Present movement…W or 265 degrees at 14 mph…22 km/h. Tropical Depression Ulika is located about 885 mi…1420 km E of Hilo Hawaii and about 1075 mi…1735 km E of Honolulu Hawaii with maximum sustained winds…35 mph…55 km/h. Present movement…WNW or 290 degrees at 9 mph…15 km/h. Invest 97E is an area of disturbed weather in the East Pacific that has the potential for further tropical development. Tropical Storm 21w (Chaba), located approximately 934 nm southeast of Kadena AB, Guam, is tracking northwestward at 07 knots. Caribbean – Hurricane Matthew, the fifth hurricane of the 2016 Atlantic hurricane season, triggered flooding and landslides on eastern Caribbean islands claiming the life of one person. A tropical storm watch has been issued for Bonaire, Curacao and Aruba along Colombia/Venezuela border to Riohacha. Government offices in Aruba have been closed today and Curacao’s parliamentary elections have been postponed until next week. West Java, Indonesia – According to the Indonesian Red Cross Society, at least 37 people have died and 20 others are still missing after flash floods and landslides struck Garut and Sumedang regencies in West Java. Reports from the National Disaster Management Agency indicate that 858 houses were destroyed and 1,600 others were damaged. Nearly 6,400 people have been displaced in the Garut regency, where water reaching 2 meters high in some areas inundated at least eight sub-districts. Landslides displaced 1,300 people in the villages within the Sumedang regency. The U.S. 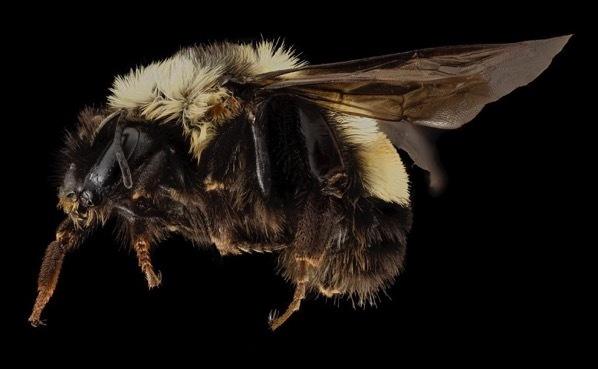 Fish and Wildlife Service (USFWS) has proposed listing a species of bumblebee as an endangered species, the first bee species to be granted such federal protection in the continental United States. The rusty patched bumblebee – the workers of which can be identified by a small rust-colored mark on the middle of their second abdominal segment – was historically widespread along the east coast of North America, from Quebec down to Georgia, and across much of the midwest as far west as the Dakotas. However, says USFWS, since the late 1990s, the species’ numbers have decreased precipitously, and its range is now a mere 8 percent of its historical extent. According to the Xerces Society for Invertebrate Conservation, the bee faces numerous threats from disease, pesticides, habitat loss, and climate change. The society says that the species’ recent decline — and that of other, closely related, bumblebees — was likely initiated by the spread of pathogens from commercial bees (which are raised and sold to pollinate greenhouse tomatoes and other crops) into the wild population. Additionally, there’s concern over the widespread use of neonicotinoid insecticides within the species’ range. These insecticides have been implicated in declines of other bee species and were introduced around the time that the rusty patched bumblebee entered its downward spiral. A rare tree frog — the last documented member of a species relatively new to science — has died at the Atlanta Botanical Garden. The body of the Rabbs’ fringe-limbed tree frog was discovered in its enclosure Monday morning during a routine daily health inspection. n 2005, the three groups sent a team of scientists to Panama to collect live animals before a disease called chytridiomycosis struck the area. Among the frogs they brought back to Atlanta was a species of tree frogs (Ecnomiohyla rabborum) that hadn’t been seen before. Identified in 2005 by Zoo Atlanta herpetology curator Joseph Mendelson, it was later named for conservationists George and Mary Rabb. 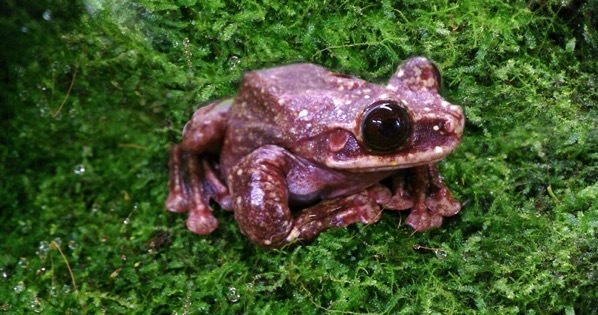 In time, the disease did arrive in Panama, and many of the frogs disappeared. Swarms of invasive comb jellyfish threaten to devastate fish stocks in the Adriatic Sea. While not dangerous to humans, population blooms of the jellies have devastated fisheries in the Black Sea. The invaders arrived in oil tanker ballast waters from the Atlantic off North America in 1982, then spread rapidly without any natural enemies. Since then, they have cost the seafood industry billions of dollars as they spread from the Black Sea to the Caspian and Baltic seas, and now the Adriatic. American researchers were startled this past summer to find a pair of Caspian terns nesting 1,000 miles farther north than the species had ever before been seen. Typically not found north of Washington state, the birds successfully bred in Alaska’s Cape Krusenstern National Monument. “[For these birds] to be 1,000 miles further north attests to how much the globe has warmed,” Stanford University biologist Terry Root told The Guardian. The week’s hottest temperature was again 113.0 degrees Fahrenheit (45 degrees Celsius) in Mecca, Saudi Arabia. The week’s coldest temperature was minus -93.0 degrees Fahrenheit (minus 69.4 degrees Celsius) at Russia’s Vostok Antarctic research station. The governor of Bolivar state, Venezuela, Francisco Rangel Gómez confirmed this week that there are 13 cases of diphtheria in the town of San Antonio, Sifontes municipality, according to a El Diario de Guayana report. The Venezuelan Society of Public Health says diphtheria was eradicated in Venezuela in the late 1940s. On 30 August 2016, WHO received reports about unexplained deaths among humans, along with death and abortion in livestock in the North Western parts of Niger, and the areas bordering Mali. From 2 August to 22 September 2016, 64 human cases including 23 deaths have been reported in Tchintabaraden health district in Tahoua region. The area is mainly populated by nomadic stockbreeders. The deaths have now been attributed to Rift Valley Fever. Officials in Ho Chi Mihn City (HCM City) say that recent increased rainfall has resulted in an increase in the mosquito population in Vietnam’s largest city and the resulting increase in dengue fever. More than 11,300 dengue cases in the city have been reported this year, an increase of 35 per cent compared to the same period last year and the trend is expected to continue for the next several weeks as Vietnam’s peak dengue season continues through October. According to local media, Cu Chi District is the hottest spot for dengue infections besides Hoc Mon, Binh Chanh, Thu Duc and Binh Thanh districts. Eight new cases this week have increased the state Department of Health’s tally of hepatitis A cases to 284 as the worst outbreak of the viral disease in two decades in Hawaii continues to run its course. The health department first issued a medical advisory to all health care providers on June 30 urging them to report all suspected hepatitis A infections in the search for the cause of the outbreak. The infectious liver disease is usually spread through food or drink contaminated with traces of the feces of an infected person. It can also spread through close personal contact. Barujari (Indonesia): Indonesian officials distributed more than 300,000 face masks to residents of Lombok Island as ash from restive Mount Barujari threatened to rain down. While ash from a sudden eruption soared more than 6,000 feet into the sky, most of it blew offshore to the southwest of the volcano. Tremors of up to 5.2 in magnitude jolted Mount Barujari before the eruption. In the Eastern Pacific: Tropical Depression Roslyn is located about 345 mi…555 km W of the southern tip of Baja California with maximum sustained winds…30 mph…45 km/h. Present movement…NNW or 345 degrees at 7 mph…11 km/h. Tropical Storm Ulika is located about 1080 mi…1740 km E of Hilo Hawaii with maximum sustained winds…50 mph…85 km/h. Present movement…NNW or 340 degrees at 6 mph…9 km/h. In the Western Pacific: Tropical Storm 21w (Chaba), located approximately 198 nm west-northwest of Navsta, Guam, is tracking westward at 14 knots. Taiwan – Typhoon Megi (Typhoon Helen in Philippines) has claimed the lives of a least five people. At least four died across Taiwan, while more 625 others have been injured by the disaster. The typhoon left at least one person dead in China. Heavy rainfall accompanying the typhoon caused flooding in Chinese coastal cities. At least 32 people have been missing after a massive landslide hit part of a village in the eastern Zhejiang Province. PVMBG reported that during 1 June-25 September brownish gray plumes from Tengger Caldera’s Bromo cone rose as high as 1.2 km above the crater. A sulfur odor was noted at the Bromo observation post, thunderous noises sometimes vibrated the post doors, and occasionally crater incandescence was observed. Seismic activity was dominated by shallow volcanic earthquakes and tremor. The deformation network measured inflation. Based on analyses of satellite images and information from PVMBG, the Darwin VAAC reported that during 22-23 September ash plumes rose to an altitude of 3 km (10,000 ft) a.s.l. (720 m above the crater) and drifted almost 40 km SW. On 26 September the Alert Level was raised to 3 (on a scale of 1-4); residents and visitors were reminded not to approach the crater within a radius of 2.5 km. IG reported that Tungurahua’s seismic network detected a significant increase in the number of long-period (LP) earthquakes on 12 September and small episodes of tremor beginning on 16 September. A swarm of 24 LP events were detected during 0408-0424 on 18 September. Starting at 1400 on 24 September the number of LP events again increased. Gas emissions were low, and together with the increased seismicity, possibly indicates a blocked conduit. IG noted that a possible large-scale eruption may happen within hours to days. In response, the Secretaría de Gestión de Riesgos (SGR) announced that the Alert Level was raised from Yellow to Orange (the second highest on a 4-color scale) on 26 September. 5.2 Earthquake hits the Dodecanese Islands on the Turkish border. 5.0 Earthquake hits the Almagan region in the North Mariana Islands. In the North Atlantic: Invest 97L is an area of disturbed weather in the North Atlantic that has the potential for further tropical development. In the Eastern Pacific: Tropical Storm Roslyn is located about 405 mi…650 km WSW of the southern tip of Baja California with maximum sustained winds…40 mph…65 km/h. Present movement…NNE or 25 degrees at 9 mph…15 km/h. Hurricane Ulika is located about 1135 mi…1830 km ESE of Hilo Hawaii with maximum sustained winds…75 mph…120 km/h. Present movement…NNE or 30 degrees at 7 mph…11 km/h. In the Western Pacific: Typhoon 20w (Megi), located approximately 141 nm west of Taipei, Taiwan, is tracking west-northwestward at 12 knots. Tropical depression 21w (Chaba), located approximately 127 nm east-northeast of Andersen AFB, Guam, is tracking westward at 14 knots. Australia – An entire Australian state lost power as a strong storm lashed the region Wednesday, causing traffic chaos, stranding people in elevators and prompting police to warn residents to stay inside. South Australia state Premier Jay Weatherill said it wasn’t clear what caused the power outage, which occurred as heavy rain and fierce winds swept across the state that is home to 1.7 million people. In the centuries to come, history books will likely look back on September 2016 as a major milestone for the world’s climate. At a time when atmospheric carbon dioxide is usually at its minimum, the monthly value failed to drop below 400 parts per million. That all but ensures that 2016 will be the year that carbon dioxide officially passed the symbolic 400 ppm mark, never to return below it in our lifetimes, according to scientists. Rinjani (Indonesia): More than 1,100 people have been evacuated as 2,000-metre column of ash spewed from Rinjani volcano on Lombok island. Several flights to and from Bali’s Denpasar Airport have been cancelled due to volcanic ashes. About 27 poultry farms in Omusati Region face closure due to the outbreak of Newcastle disease that for the past three months has wreaked havoc in rural villages. Doctors have warned people not to consume or buy chickens from Omusati Region until further notice. According to the chief veterinarian for Omusati Region, Dr Josephat Peter, the contagious disease that affects domestic and wild avian species entered Namibia from neighbouring Angola, from where people cross the border on a daily basis to sell live chickens in Namibia. The situation now threatens the availability of a viable key protein source in the region that is already grappling with the effects of a severe drought. At least 20 people, including residents of Kathmandu Valley, have tested positive for dengue virus, according to National Public Health Laboratory. The government’s central laboratory has also confirmed that of the 499 samples, at least two, including a resident of Kathmandu, tested positive for chikungunya.